Firefighters Movers Rowlett TX | Fireman Movers - MoveStar Inc.
Rowlett is one of the cities located in the Rockwall and Dallas counties, Texas. It is a northeastern suburb of Dallas with a population of more than 60,000. The rapidly growing city is known for its upscale bedroom community located just beside the Lake Ray Hubbard. Incidentally, this city named after the Rowlett Creek flowing into the Lake Ray Hubbard is also known for its thriving photography community and boasts of the world renowned Rowlett Texas Photograph Club. With several regional award winning photographers choosing Rowlett in Texas as one of their destinations, you can surely think of settling in this part to enjoy the glories of creativity and passion. 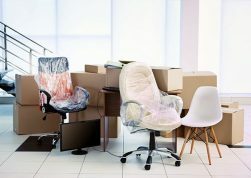 And if you are worried about the problems that are a part and parcel of relocating, just get in touch with MoveStar firefighters moving company. Our skilled and ever-so efficient firefighters movers are ever ready to take all the load of shifting on their eligible shoulders and ensure a smooth transition. Why should you hire MoveStar? When you are moving to an entirely new location you are a bit worried about how things will work out. Firemen movers at MoveStar are experienced enough to understand your dilemma and provide you with the right guidelines and instructions including effective packing tips so that you are adequately prepared on your moving day. 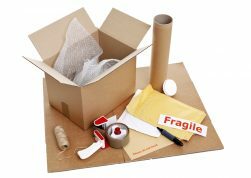 Moving and storage can be a big problem while relocation as delicate things can easily get damaged during the transition. We have special packing, loading and unloading techniques that ensure 100% safety of all your sturdy as well as delicate items. MoveStar is a HUB certified company and is one of the best moving companies around that you would like to hire if you are looking for well experienced and efficient off duty firemen movers. Leave all your worries related to relocation to MoveStar and be rest assured of stress-free moving. You can as well call our moving company representative to settle all the queries and inquire about the quotes prior to the moving day.